On August 15, our Catholic friends will be celebrating the beautiful feast of the Assumption. 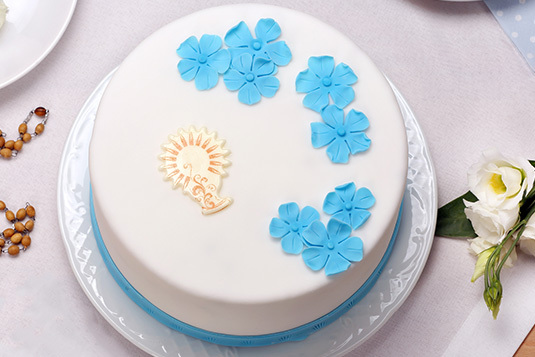 It is the perfect occasion for families to gather together, and enjoy a traditional Mary cake (Gâteau Marie). Here are a few tips to help you cope with the surging demand for this ever-popular cake. Over the years, the flavours of the cake have evolved. The sponge cake, plain or vanilla, is now a big favourite. Here’s our simple recipe: blend 4 kg of egg and 3.5 L of water on low speed with a sponge whisk for 1 minute. Add 10 kg of Multi Swiss and blend for 1 minute on low speed. Mix for 10 minutes on high speed and for another 3 minutes on medium speed. Cook at 190°C for 17-20 minutes, depending on the size of your tins. A 15 kg packaging will produce approximately 58 tins of 450 g sponge cakes. If you are keen on a bit of creativity, you can also offer some scrumptious cheesecakes, with a blue jelly to match the theme. All you need to do is to mix 500 g of the Continental Cheesecake Mix and 500 ml of water at high speed for 6 minutes. Done! The traditional Marie cake is made with a Madeira dough. 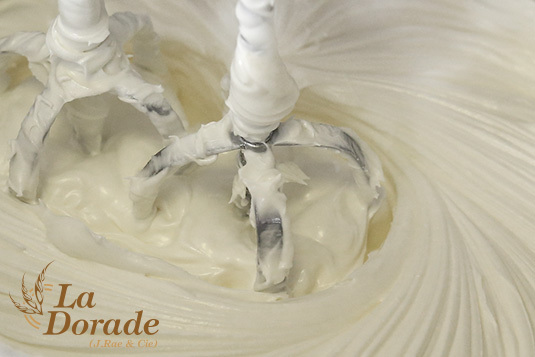 With our Madeira mixes, you can produce a large quantity of dough and cake in no time. A pack of 25 kg will produce up to 75 cakes of 500 g or 125 cakes of 300 g. You can also sprinkle in some flavour with our delicious chocolate chips or dried fruits. And while the interior and the flavours have changed a lot according to today’s tastes, the traditional white and blue colours probably never will. Pastry white fondant, icing sugar or cream; choose the topping and icing that will make your cakes look as good as they taste. Get organised beforehand so you can make the most of this great sales opportunity. With our products, it is easy to offer good quality treats and variety in a jiffy!